Do you sometimes run out of cool ideas on what to do with the family? Or you want to take them somewhere new as a special treat? 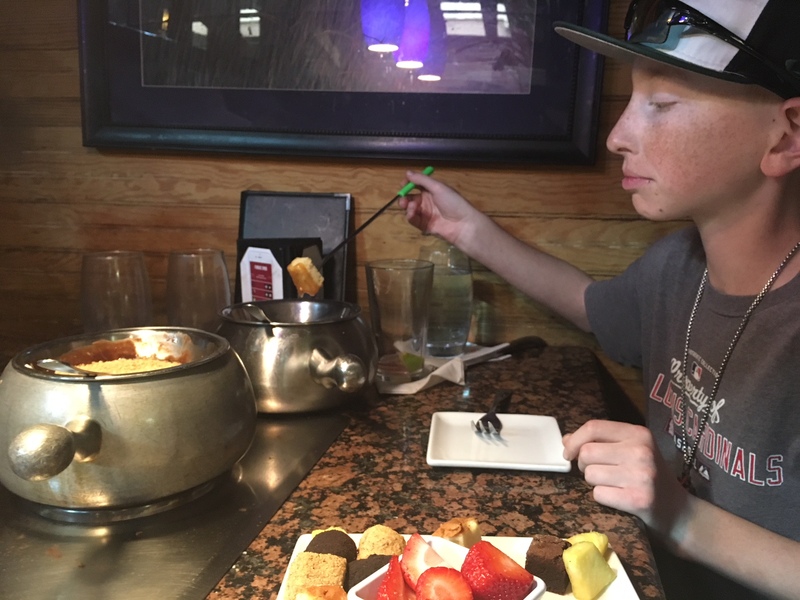 The Melting Pot in Colorado is a fantastic idea! Quality time, yummy food, and hours of fun! 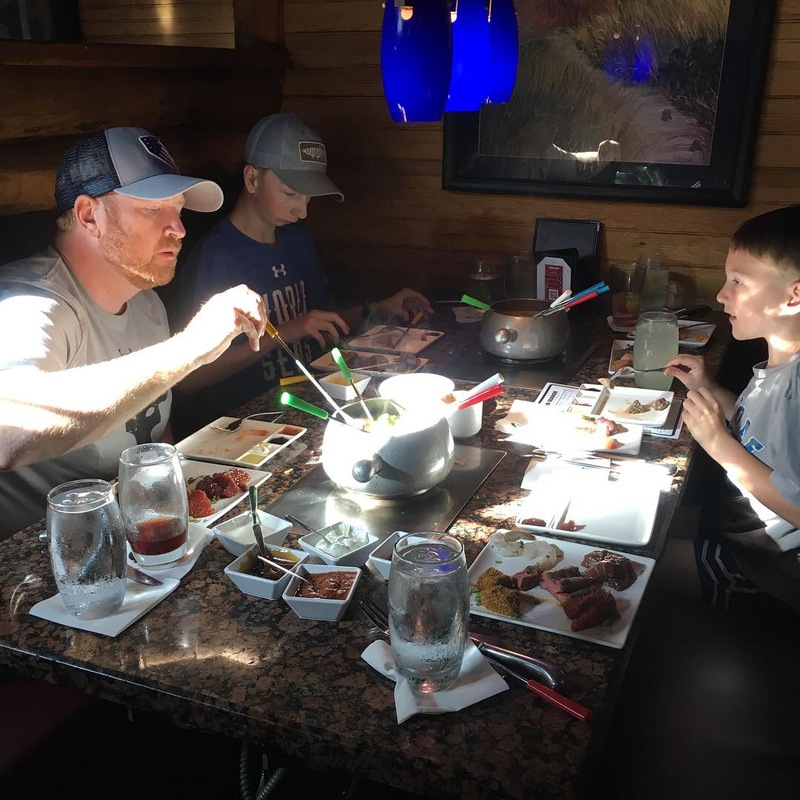 My boys don’t usually agree on anywhere we go, but let me tell you that they all were looking forward to eating fondue. First, the atmosphere is very cool! 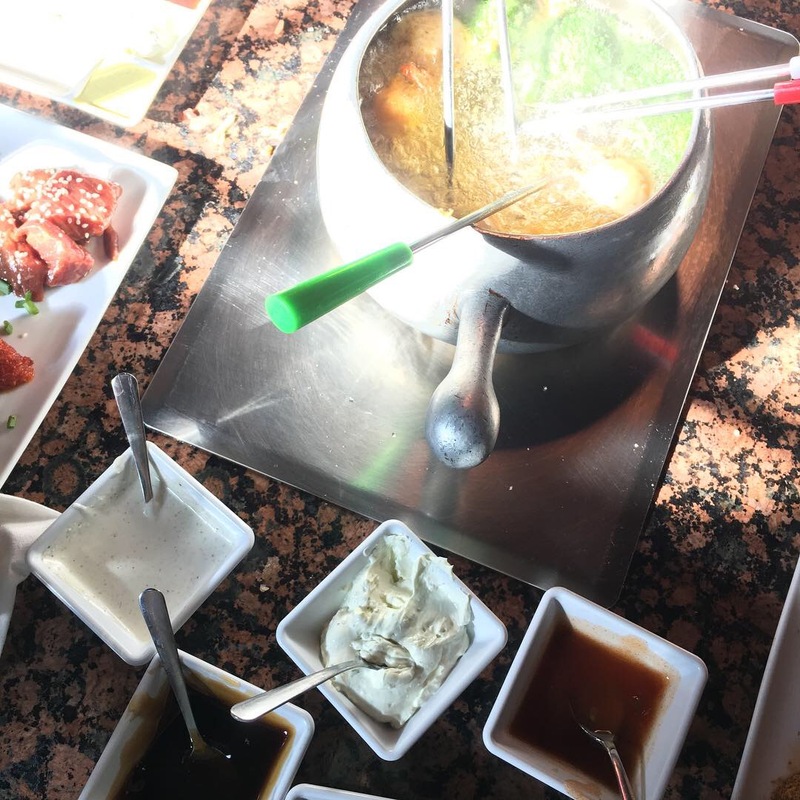 We visited the The Melting Pot in Colorado at the Louisville location and it’s almost like being in a castle. Dark, cozy and mysterious all at the same time. P’Diddy said, “Wow I like it in here!” as soon as we walked into the restaurant. Our table was upstairs which the boys thought was very neat, in a big booth that fit the five of us. Two fondue burners were set in front of us. We were ready to begin our feast! The Melting Pot menu has a great variety, with lunch choices! Mix and match courses and food items OR you can choose from a meat selection already in place. Hubby and I always pick the Classic (a variety of chicken, shrimp, pork, steak) which was no different today. The boys on the other hand chose their own. Each a little different. Cheese please. My favorite. I could eat cheese all day. Salad. Hubby says the Wedge is the best salad from anywhere! I love the California because of the candied pecans. The boys are Caesar kids. Meat. Big selection! Then choose your Cooking Style. We went with Mojo (our standard fav!) and Bourguignonne which was quite good. It’s basically just hot oil and you can fry up those shrimp! And those sauces? Dip, dip and dip again! Dessert. oh chocolate galore! We had a S’mores pot going AND a white chocolate, raspberry, with oreos. The waitress recommended that combo! YUM!!! The waitress found out that O’Bear doesn’t like chocolate so she made him his own pot of just caramel. He was happy! We were stuffed. It takes the place of two meals easily. The best part though? It is seriously FUN! We laughed, told stories, tried new foods, and bonded. My oldest is 16 and time is running. I want to make every moment count and this is a memory that I know will last. 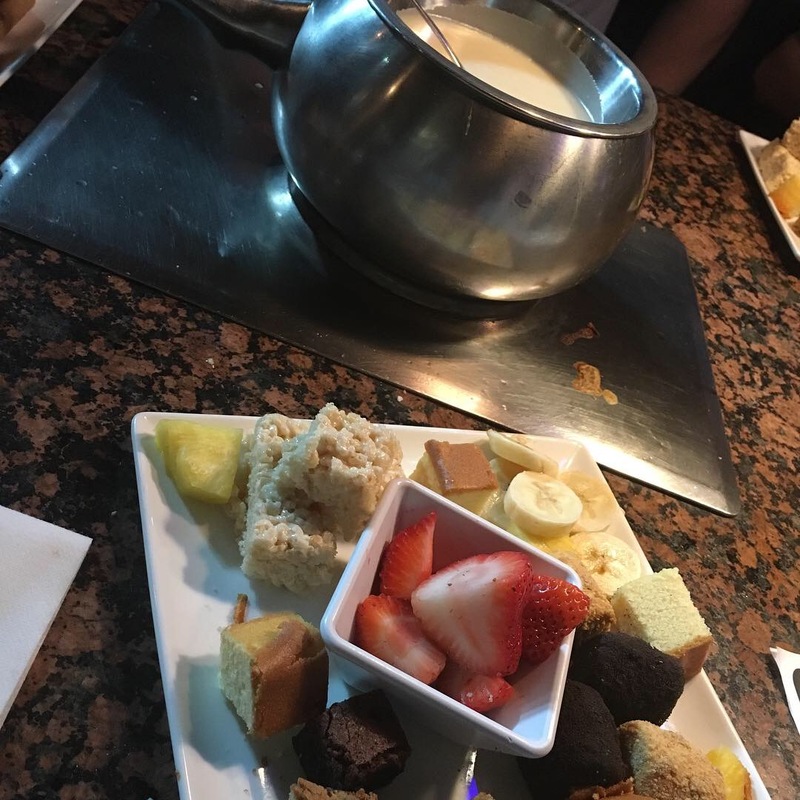 Check out The Melting Pot in Littleton, Colorado too. It’s Magical Family night on Tuesdays which means kids under 12 eat free AND there is a magician! Kids also eat free in Louisville on Tuesdays and Sunday afternoons. It will be the best night for you and your family! There are always mixing up their events. See us a couple of years ago at Superhero Sunday! Here are all the events The Melting Pot has! 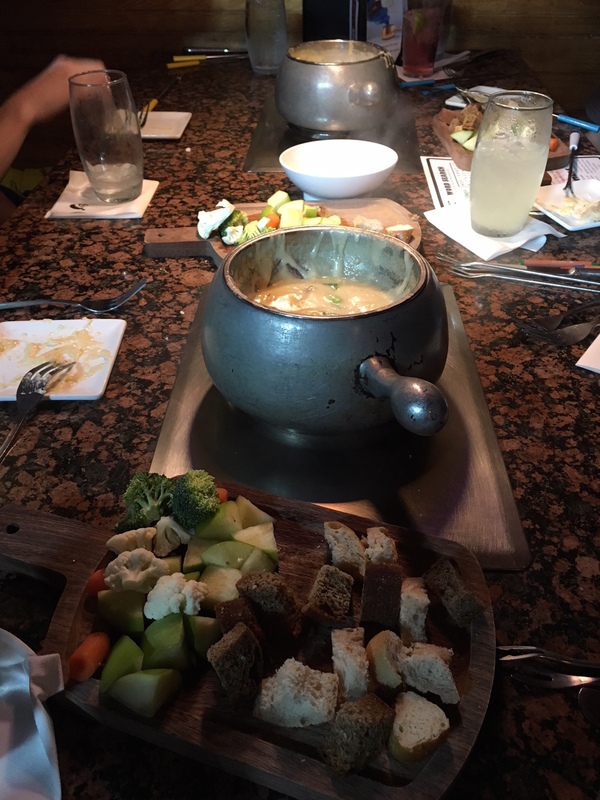 Have you had a fondue dinner experience before? Thank you to The Melting Pot in Colorado that sponsored my family and I to eat a meal for free. All opinions are definitely my own.